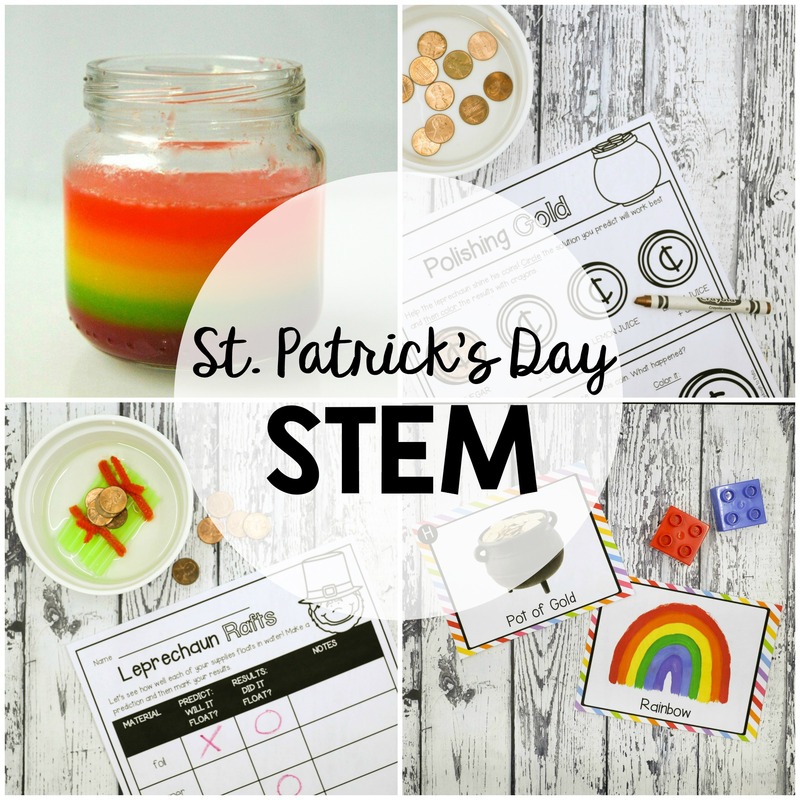 These St. Patrick’s Day STEM Challenges are a must-try! 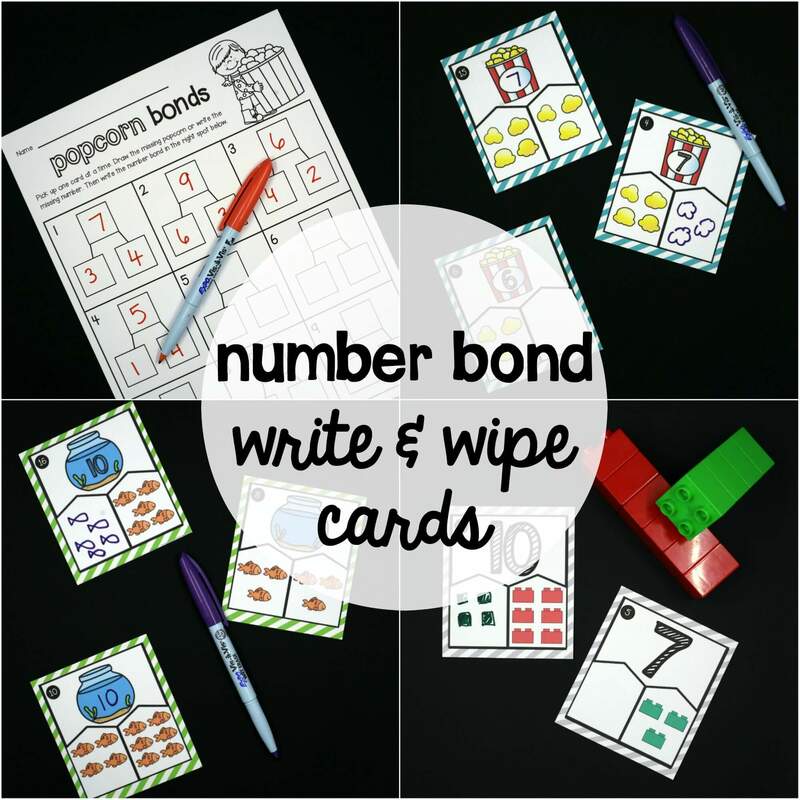 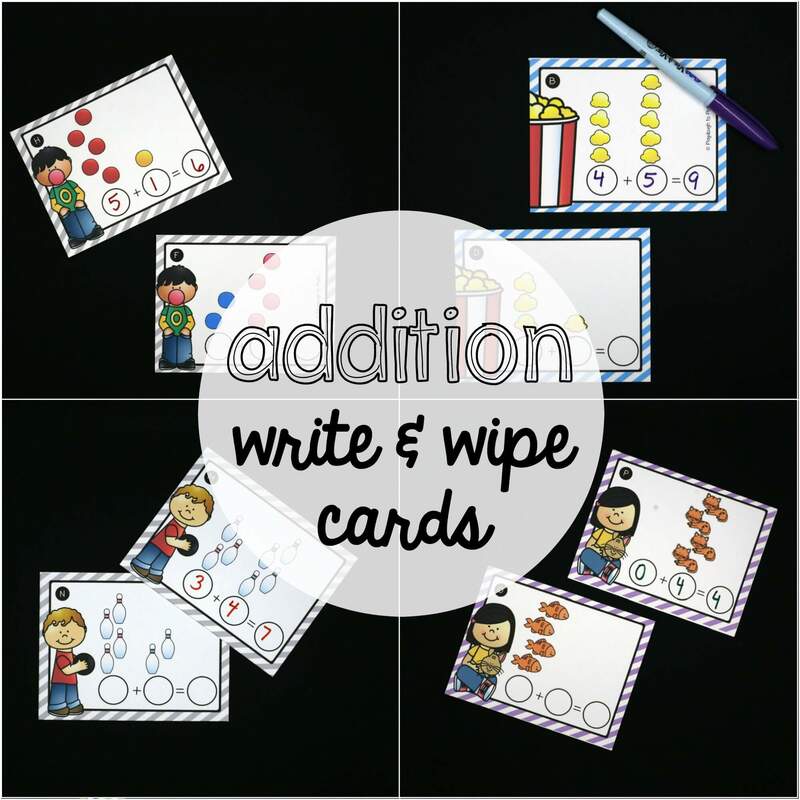 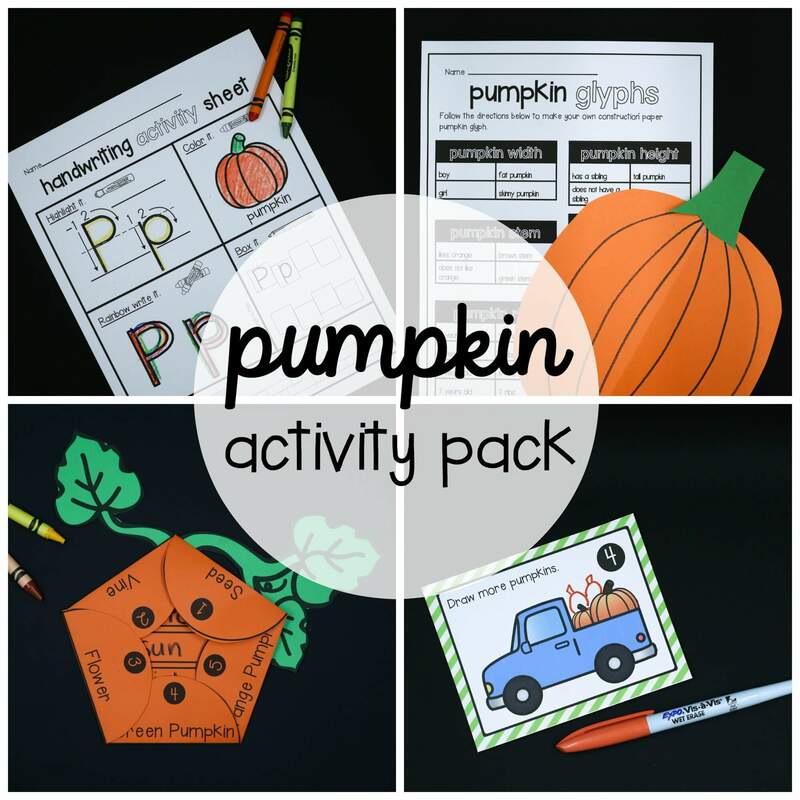 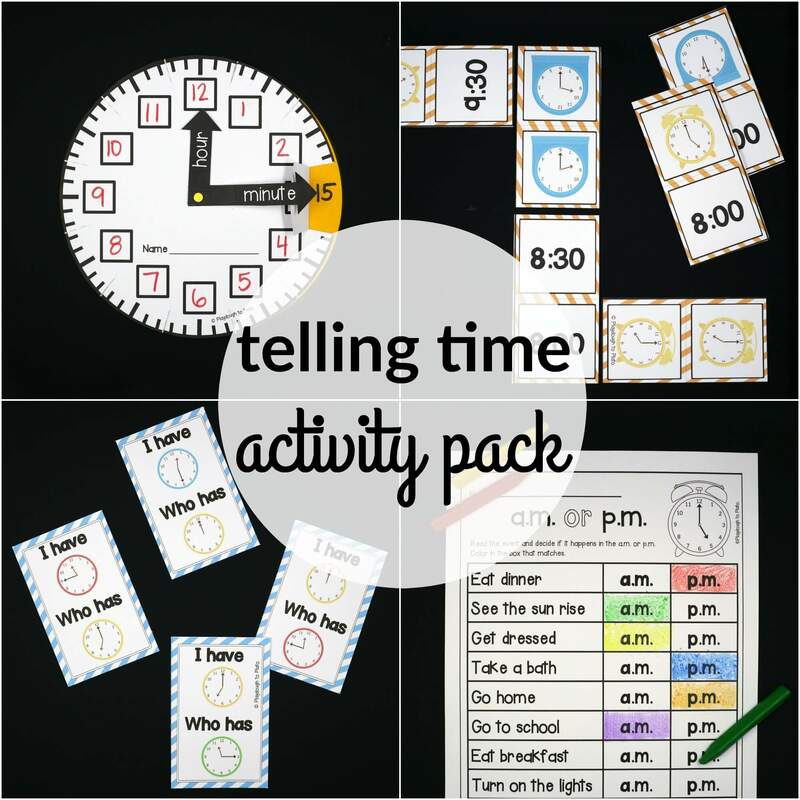 The set is perfect to use in STEM centers, math stations or as early finisher tasks. 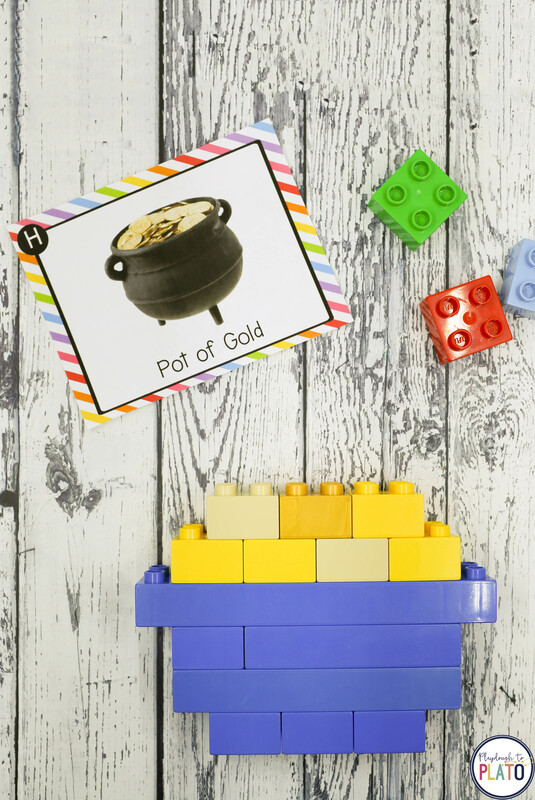 –> Building 10 Irish objects out of LEGOS. 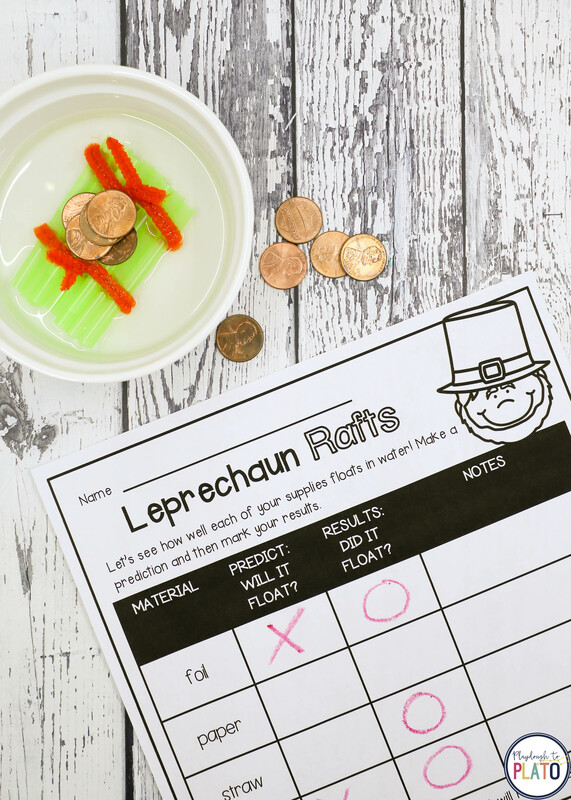 –> Helping leprechauns carry gold across water by creating a raft that really floats. 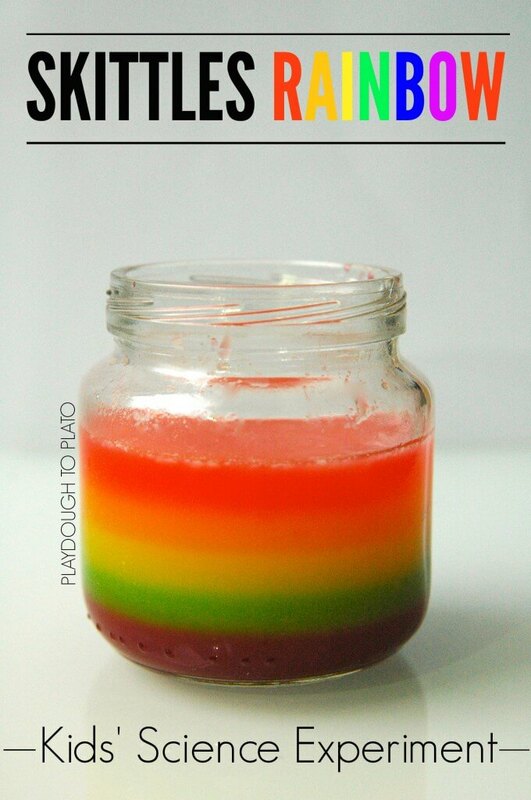 –> Learning about buoyancy by pouring a Skittles rainbow into a jar. 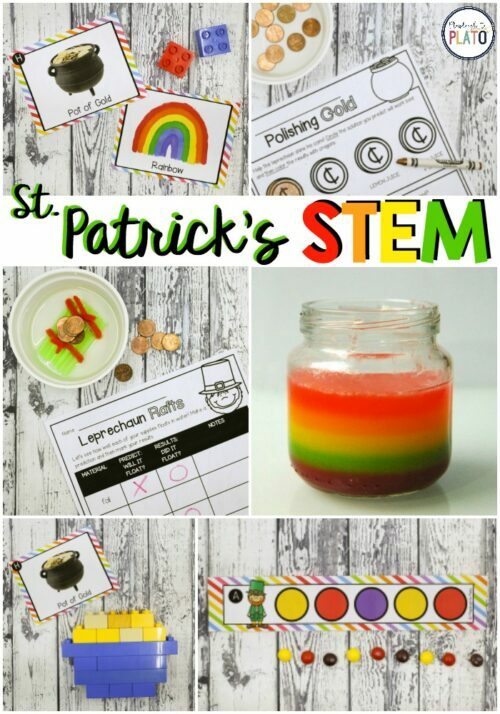 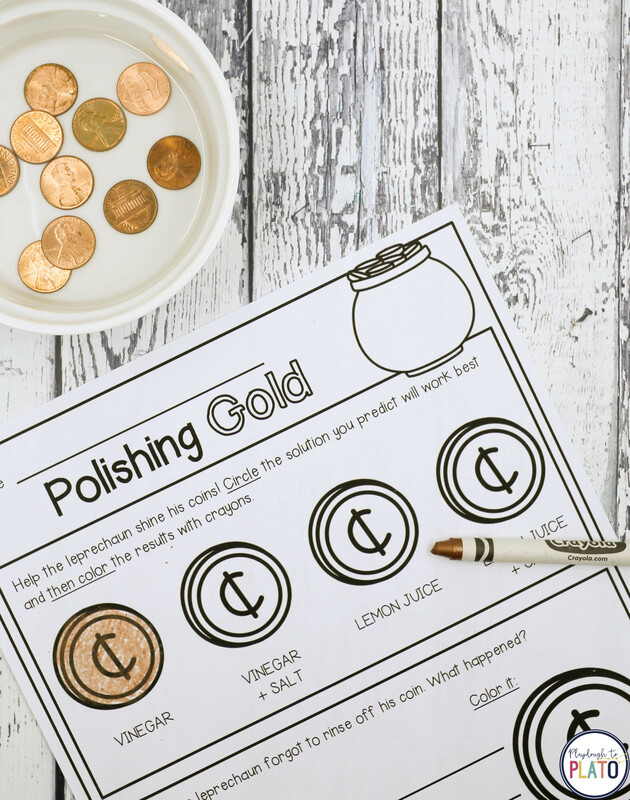 –> Using common kitchen supplies to make a chemical reaction that polishes “leprechaun coins”. 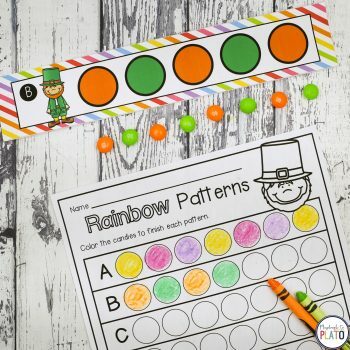 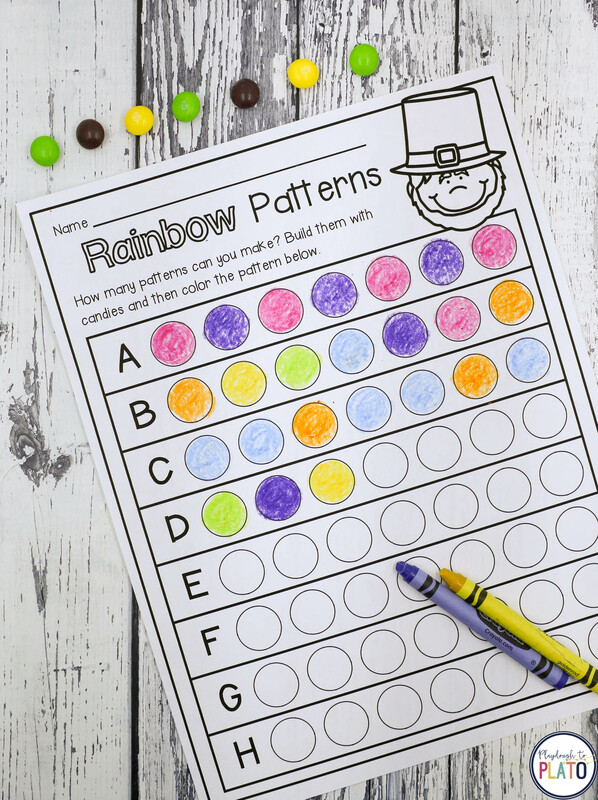 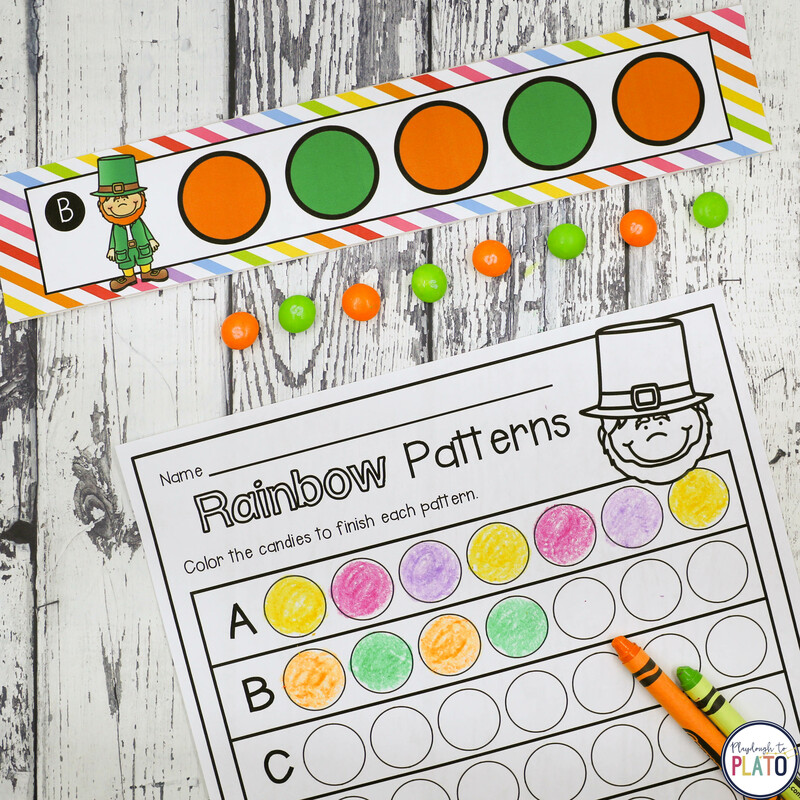 –> Adding on to and creating Skittles patterns. 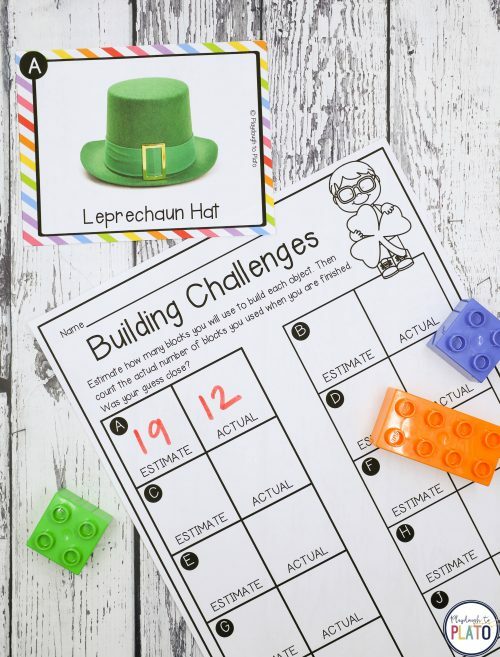 And, to help you track students’ growth, all five STEM challenges include record sheets to help kids keep track of their answers.